Students wait for transportation in front of Al-Azhar University on 2 June, 2016, in Cairo, Egypt. Scholars at Cairo’s Al-Azhar University, the pre-eminent seat of Sunni Islamic learning, have submitted a bill to the Egyptian government, which “aims to reaffirm the total incompatibility between the violence justified by religious arguments and Islamic law”. As World Watch Monitor reported on 21 June, Al-Azhar has distanced itself from claims that its teachings condone, or even encourage, acts of violence in the name of Islam. The bill comes as a prominent Islamic cleric, Sheikh Salem Abdul Jalil, appeared in court on Saturday (24 June) after calling Christians “unbelievers” on his TV show. Naguib Gibrail, a lawyer and Coptic Christian activist who brought the charges against the cleric, said the Sheikh’s remarks amounted to “slander” against Christianity and threatened Egyptian unity. Gibrail has also filed similar charges against another Sheikh, Abdullah Rushdi. Meanwhile a renowned Coptic Orthodox priest, Fr Makary Younan, has had the charges against him dropped, after he was accused of “insulting Islam” for saying in a televised prayer meeting that while Christianity came first to Egypt and is a religion of love and forgiveness, Islam came later and spread through the sword. In the wake of his comments, Coptic Pope Tawadros II asked him to temporarily stop the prayer meetings, but they began again on 24 June. Sheikh Ahmed el-Tayeb, the grand imam of Al-Azhar, at a press conference on 2 June, 2016 in Cairo, Egypt, as part of Al-Azhar’s Campaign Against Extremist Ideology. According to Coptic news site Watani, a number of prominent writers, journalists, and liberals called for the cases to be dropped, “fearing that once a case is opened it would lead to arguments on the Christian and Muslim faiths, which is bound to deepen divides among Egyptians along religious lines”. 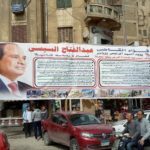 On Saturday (24 June), Egyptian authorities arrested six people allegedly planning a suicide bomb attack on a church in Alexandria during the Eid al-Fitr holiday marking the end of the Muslim month of Ramadan. According to a statement from the Interior Ministry, the six belonged to an extremist cell determined to “intimidate” and “divide” the nation. The suspects are also thought to have been involved in the bombing of a Christian-owned shop in the neighbouring governorate of Damietta in April. In the Alexandria flat where the six were arrested, police reportedly confiscated weapons and explosives, including two suicide belts and six detonators. Meanwhile, in Minya, Copts have been offered training to help them protect themselves against attacks. Watani reports that the Bishop of Minya, Anba Macarius, politely declined the offer, saying it might make the Copts even more of a target. “We may very likely be misunderstood by some who exercise morbid thoughts and believe the Church stockpiles arms and resorts to aggression,” he said, referencing the 2013 attacks on churches were falsely accused of storing arms in the wake of the ousting of former president Mohamed Morsi. On 22 June, Egypt’s Interior Ministry said it had killed seven people believed to have been involved in recent attacks on Copts and their churches. The Islamic State group has claimed responsibility for many of the attacks, in which around 100 people have been killed. A child hovers over the coffins of his parents during their funeral service at St Samuel’s Monastery. They were among the 29 Coptic Christians killed in the Minya bus attack on 26 May. The recent spate of attacks in and around Minya suggests that IS is shifting its focus from the Sinai Peninsula towards establishing a foothold in Upper Egypt, an area “marginalised” by politicians, lacking in security and in which many people are poor and uneducated, according to Al-Monitor. Al-Monitor quotes the director of the National Center for Security Studies, Brig. Gen. Khaled Okasha, as “ruling out” IS’s ability to seize territory within Egypt. “Geographically, this can never happen,” he said. Instead, he said IS is determined to carry out as much damage as possible, by choosing the targets most difficult to defend, including Copts. He said Egypt has a “strong legislative support system to counter terrorism”, but admitted that there are “gaps in security procedures”. As World Watch Monitor reported last week, Copts have been crying out for more protection in the wake of attacks, such as the Minya bus attack that killed 29 Copts travelling to a monastery on Ascension Day (26 May).